It’s a shame many still don’t know his name. Or his genius. Nikola Tesla invented the radio, the induction motor, the neon lamp, and the remote control. His scientific discoveries made possible X-ray technology, wireless communications, and radar, and he predicted the Internet and even the smart watch. Today, he is hailed as a visionary by the likes of Elon Musk (whose electronic cars bear his name) and Larry Page, the founder of Google. His image appears on stamps, the Encyclopedia Brittanica ranks him as one of the ten most interesting historical figures, and Life magazine lists him as one of the one hundred most famous people of the last millennium. And yet, his contemporaries and fellow inventors Thomas Edison and Guglielmo Marconi achieved far greater commercial success and popular recognition. In Tesla: Inventor of the Modern (W. W. Norton & Company, $26.95), Richard Munson asks whether Tesla’s eccentricities eclipsed his genius. 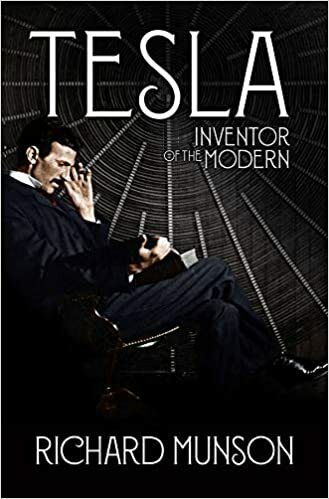 Ultimately, he delivers an enthralling biography that illuminates every facet of Tesla’s life while justifying his stature as the most original inventor of the late nineteenth century. Harvey Sachs’s Toscanini: Musician of Conscience (Liveright, $24.95) recounts the 68-year career of conductor Arturo Toscanini, an artist celebrated for his fierce dedication, photographic memory, explosive temper, impassioned performances and uncompromising work ethic. Toscanini collaborated with Verdi, Puccini, Debussy, and Richard Strauss; undertook major reforms at La Scala and the Metropolitan Opera; and eventually pioneered the radio and television broadcasts of the NBC Symphony. His monumental achievements inspired generations, while his opposition to Nazism and fascism made him a model for artists of conscience. 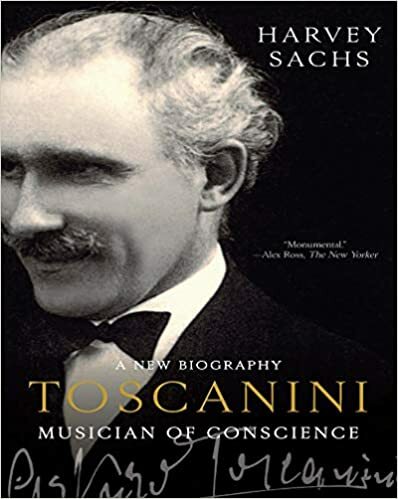 In this persuasive and compelling new biography, Sachs illuminates the crucial―the central―role Toscanini played in our musical culture. Set against the roiling currents of twentieth-century Europe and the Americas, Toscanini is a “necessary” portrait of this “complex, flawed, but noble human being and towering artist” (Wall Street Journal) whose peerless influence reverberates today. A book about Jimmy Carter, 39th President of the United States, as a beach read? Absolutely. And much more entertaining than, say, a collection of Peanuts. In President Carter: The White House Years (Thomas Dunne Books/St. 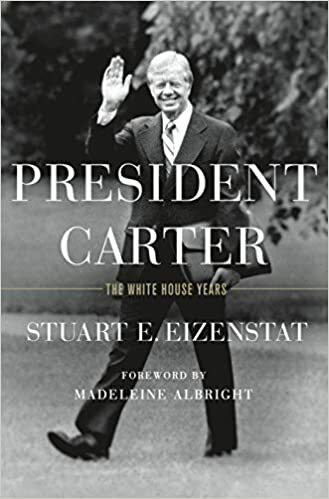 Martin’s Press, $40) Stuart E. Eizenstat presents a comprehensive history of the Carter Administration, demonstrating that Carter was the most consequential modern-era one-term U.S. President. 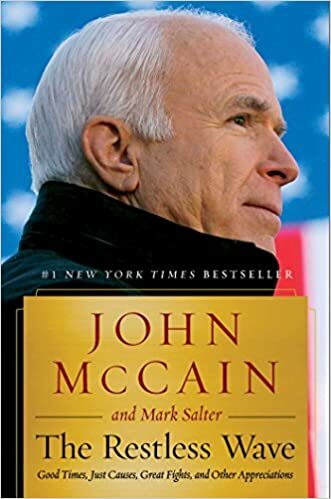 The book is behind-the-scenes account of a president who always strove to do what he saw as the right thing, while often disregarding the political repercussions. Immortalized by Shakespeare as a hunchbacked murderer, Richard III is one of English history’s best known and least understood monarchs. In 2012 his skeleton was uncovered in a UK parking lot, reigniting debate about this divisive historical figure and sparked numerous articles, television programs and movies about his true character. 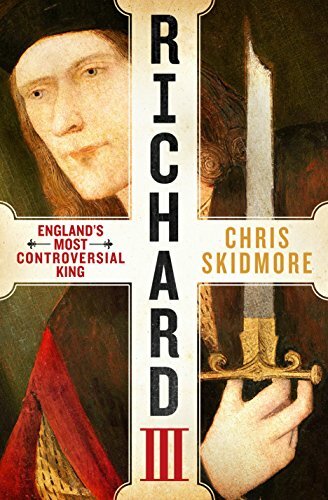 In Richard III: England’s Most Controversial King (St. Martin’s Press, $29.99) acclaimed historian Chris Skidmore has written the authoritative biography of a man alternately praised as a saint and cursed as a villain. Was he really a power-crazed monster who killed his nephews, or the victim of the first political smear campaign conducted by the Tudors? 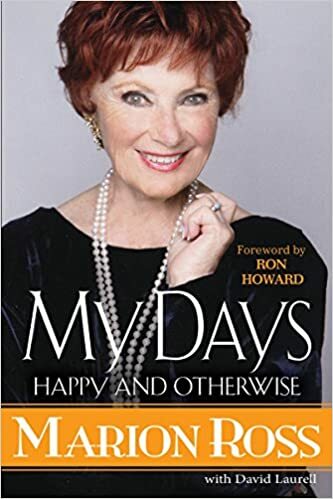 Marion Ross’ warm and candid memoir, My Days: Happy and Otherwise (Kensington, $26), brims with loving recollections from the award-winning Happy Days team—from break-out star Henry Winkler to Cunningham “wild child” Erin Moran. The actress shares what it was like to be a starry-eyed young girl with dreams in poor, rural Minnesota, and the resilience, sacrifices, and determination it took to make them come true. She recalls her early years in the business, being in the company of such luminaries as Humphrey Bogart, Lauren Bacall and Noel Coward, yet always feeling the Hollywood outsider—a painful invisibility that mirrored her own childhood. She reveals the absolute joys of playing a wife and mother on TV, and the struggles of maintaining those roles in real life. But among Ross’s most heart-rending recollections are those of finally finding a soulmate—another secret hope of hers made true well beyond her expectations. Writing The Restless Wave: Good Times, Just Causes, Great Fights, and Other Appreciations (Simon & Schuster, $30) while confronting a mortal illness, John McCain looks back with appreciation on his years in the Senate, his historic 2008 campaign for the presidency against Barack Obama, and his crusades on behalf of democracy and human rights in Eastern Europe and the Middle East. Always the fighter, McCain attacks the “spurious nationalism” and political polarization afflicting American policy. He makes an impassioned case for democratic internationalism and bi-partisanship. He tells stories of his most satisfying moments of public service, including his work with another giant of the Senate, Edward M. Kennedy. McCain recalls his disagreements with several presidents, and minces no words in his objections to some of Frump’s statements and policies. At the same time, he offers a positive vision of America that looks beyond the evil Frump. 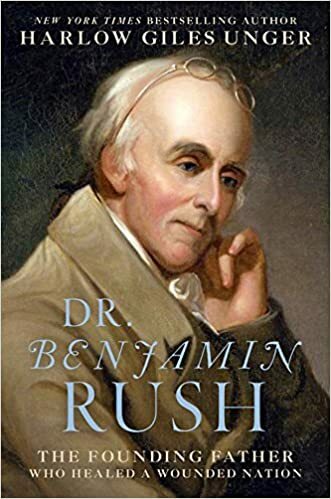 Remembered primarily as America’s leading, most influential physician, Benjamin Rush led the Founding Fathers in calling for abolition of slavery, equal rights for women, improved medical care for injured troops, free health care for the poor, slum clearance, citywide sanitation, an end to child labor, free universal public education, humane treatment and therapy for the mentally ill, prison reform and an end to capital punishment. Using archival material from Edinburgh, London, Paris, and Philadelphia, as well as significant new materials from Rush’s descendants and historical societies, Harlow Giles Unger’s Dr. Benjamin Rush: The Founding Father Who Healed a Wounded Nation (Da Capo Press, $28) restores Benjamin Rush to his rightful place in American history as the Founding Father of modern American medical care and psychiatry. In 1929, 30-year-old gangster Al Capone ruled both Chicago’s underworld and its corrupt government. To a public who scorned Prohibition, “Scarface” became a local hero and national celebrity. But after the brutal St. Valentine’s Day Massacre transformed Capone into Public Enemy Number One, the federal government found an unlikely new hero in a 27-year-old Prohibition agent named Eliot Ness. Chosen to head the legendary law enforcement team known as “The Untouchables,” Ness set his sights on crippling Capone’s criminal empire. 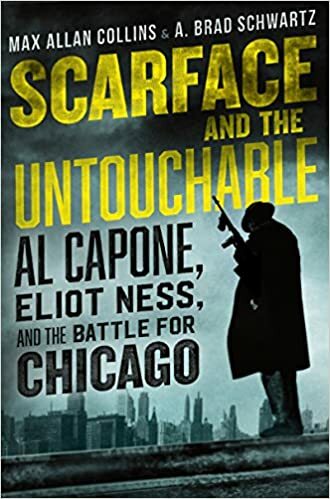 Scarface and the Untouchable: Al Capone, Eliot Ness, and the Battle for Chicago (William Morrow, $29.99) draws upon decades of primary source research—including the personal papers of Ness and his associates, newly released federal files, and long-forgotten crime magazines containing interviews with the gangsters and G-men themselves. Authors Max Allan Collins and A. Brad Schwartz have recaptured a bygone bullet-ridden era while uncovering the previously unrevealed truth behind Scarface’s downfall. Together they have crafted the definitive work on Capone, Ness, and the battle for Chicago. Arthur Fellig’s ability to arrive at a crime scene just as the cops did was so uncanny that he renamed himself “Weegee,” claiming that he functioned as a human Ouija board. Weegee documented better than any other photographer the crime, grit, and complex humanity of mid-century New York City. In Flash, we get a portrait not only of the man (both flawed and deeply talented, with generous appetites for publicity, women, and hot pastrami) but also of the fascinating time and place that he occupied. 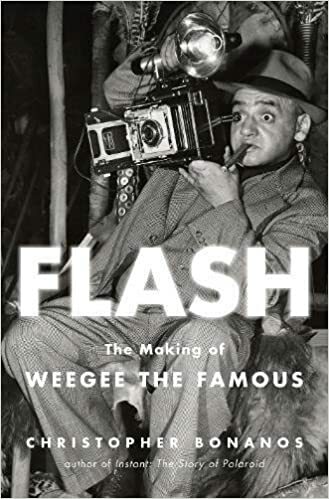 So we finally have the first biography of the man with the camera in Christopher Bonanos’Flash: The Making of Weegee the Famous (Henry Holt, $32). Weegee lived a life just as worthy of documentation as the scenes he captured. With Flash, we have an unprecedented and ultimately moving view of the man now regarded as an innovator and a pioneer, an artist as well as a newsman, whose photographs are among most powerful images of urban existence ever made. The laughs ended in August 2014 when Robin Williams killed himself at 63. 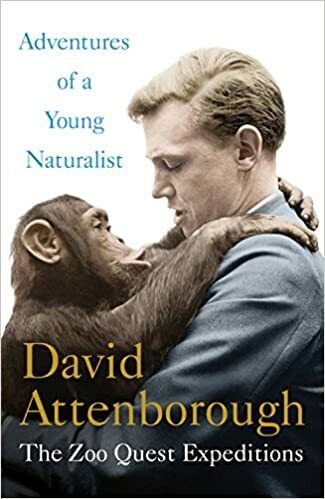 His death not only raised questions about how and why it had happened, but also prompted reassessments of his extraordinary life and career. F or anyone with the slightest acquaintance with popular culture over the past four decades, he seemed to be everywhere, from stand-up to TV, movies, and late-night talk shows, with an uncanny sense of the zeitgeist matched by few others. 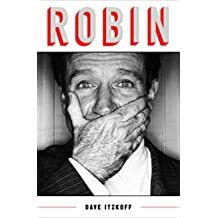 Now, Dave Itzkoff presents a full and revealing portrait of one of the most beloved and original comedians and actors of our time in Robin (Henry Holt and Company, $30). Illuminating both the man and the performer, Itzkoff draws on more than one hundred interviews with Robin’s family, friends, and colleagues, as well his own encounters and interviews with Williams over the years. 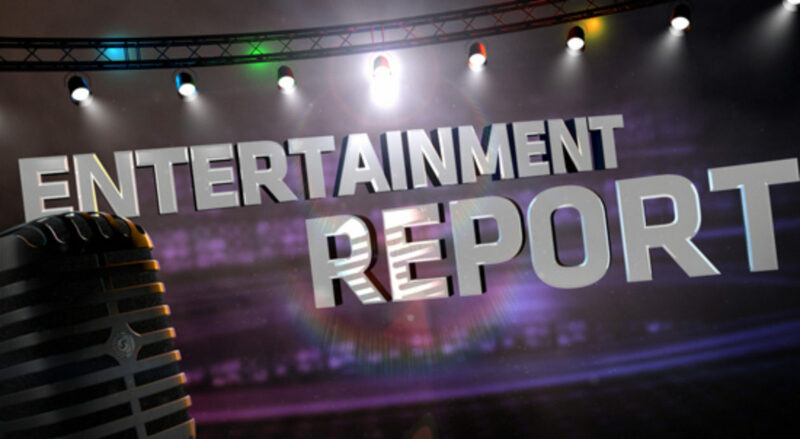 Included are insights from fellow comedians, actors, and collaborators such as Billy Crystal, David Letterman, Pam Dawber, Dana Carvey, Barry Levinson, Terry Gilliam, Eric Idle, Jeff Bridges and Bobcat Goldthwait. The largely untold story of Robin’s family background and his privileged but lonely upbringing in the upscale suburbs of Detroit, where he entertained himself with make-believe and toy soldiers. As Itzkoff shows, Robin was indelibly shaped by both his father—a stern, self-made auto industry executive—and his glamorous, eccentric and funny Southern mother. How Robin was first exposed to improvisational comedy and acting through a stray course at prestigious Claremont College, and later honed his talents at the humbler College of Marin. Sharp-eyed mentors there eased his way into the elite acting program at the Juilliard School in New York City, where his fellow students included Christopher Reeve, who became one of his closest friends. How Robin burst into local prominence in San Francisco and Los Angeles during the stand-up comedy boom of the 1970s, and quickly became known as a rising star. 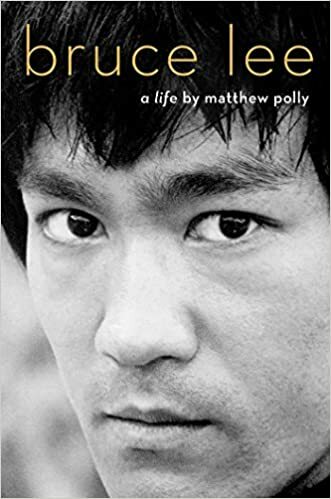 Candid interviews with his first wife, Valerie Velardi, who has not spoken on the record in years, reveal how he began to indulge heavily in cocaine and alcohol, and how his hidden vulnerabilities, self-doubt, and deep loneliness helped to fuel his addictions. The improbable circumstances that got Robin cast in a guest-starring role as Mork from Ork on the hit television series Happy Days after Henry Winkler’s Fonzie character literally “jumped the shark.” (Producer Garry Marshall’s young son loved Star Wars and said TV needed more aliens.) That one appearance was such a sensation that it soon resulted in Robin getting his own ABC sitcom, Mork & Mindy. How Robin’s substance abuse led to a personal crisis, and to John Belushi’s hotel bungalow in Los Angeles on the night the Saturday Night Live star died of an overdose. Belushi’s death convinced Robin to swear off drugs and alcohol for the next 20 years, but his sobriety could not repair the damage he had caused to his first marriage. How Robin’s failure to win an Oscar the first three times he was nominated weighed heavily on him, until he finally took home an Academy Award for Best Supporting Actor for Good Will Hunting. Robin’s own unflinchingly honest assessment of how he relapsed into alcoholism, which ended his two-decade-long marriage to his second wife and close collaborator, Marsha Garces. He then had to struggle simultaneously with addiction, divorce, and open-heart surgery. The most complete and balanced account of Robin’s decline and death. Drawing on official autopsy results, Itzkoff concludes that Robin’s suicide was not a result of depression or substance abuse, as had been widely assumed, or from Parkinson’s Disease, as his own family had originally believed, but from a little-known and often misdiagnosed condition called Lewy Body Dementia. Previously unpublished tributes from Robin’s private memorial service, including remembrances from his three children; his close friends Billy Crystal, Bobcat Goldthwait, and Eric Idle. Details of the bitter legal conflict over Robin’s estate. The courtroom battle exposed long-simmering tensions between Robin’s children and his third wife Susan Schneider, to whom he had been married for less than three years. As Itzkoff notes, there is no actor or comedian today who can be considered Robin’s protégé or his heir, although he inspired many performers. He had many admirers but no imitators—no one who tried to do what he did the way he did it. When he died, his reputation for joyfulness and humor stood in stark contrast to the sad and solitary manner in which his life came to an end. Inevitably, people asked, Who was he? What was behind all the accents and characters, the blurs of motion and flashes of energy? How much did he truly reveal and how much did he keep hidden? With ROBIN, Dave Itzkoff gives us a comprehensive and revelatory portrait yet of a performer loved and admired by millions for his generosity of spirit, his quickness of mind, the laughter he sparked, and the hopefulness he inspired. Nearly four years after the passing of Robin Williams, it will be eagerly read by anyone seeking to understand who he truly was. The laughs continue as one of television’s wittiest comedies returns for a hilarious fifth season–and its landmark 100th episode. 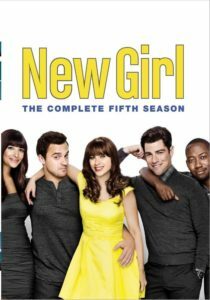 Welcome to New Girl: The Complete Fifth Season. Although Jess (the brilliant Zooey Deschanel) and Nick (Jake Johnson) remain broken up, Schmidt and Cece (Max Greenfield and Hannah Simone) are headed down the aisle. Disaster arrives when the loft becomes an Airbnb, Schmidt’s bachelor party hits the road, and Cece’s judgmental mom shows up. Meanwhile, Jess lands a fantastic teaching gig, only to learn her boss is dating her ex, and Winston (Lamorne Morris) gets a great new girlfriend. Or does he? This series boasts fresh writing, standout performances and popular guest stars Henry Winkler, Julie Hagerty, Fred Armisen and Nasim Pedrad. New Girl simply does not get old. Rebels, radicals, mavericks, and change makers. I Am Rebel is a documentary series about unfamiliar yet game-changing characters who prove that beneficial change can happen when you break the rules. These stories are seemingly disparate, but they share a common thread–outsiders finding their voices in the underworlds of vice. Out of this darkness comes lightning bolts that lead to progress. How outrageous can the animal kingdom get? Whether it’s out-of-bounds behavior or savage instincts run amok, when animals act out they’re a force to be reckoned with. From the mysterious depths of the deep blue sea to the jungle’s untamed edge, see just how rough, rowdy, and lawless Mother Nature’s most unruly creatures can be. 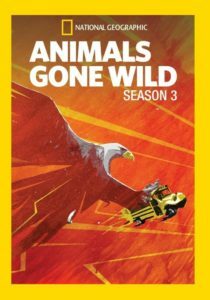 Yes, the third season of Animals Gone Wild prove they do. And can. For the first time, a human herd of Americans joins the great wildebeest migration across the Serengeti. 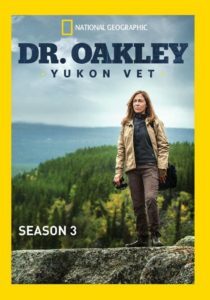 They must use their expert survival skills to navigate without a map or compass–carrying limited food rations–and survive in the face of the world’s deadliest predators as they cross two hundred miles of brutal terrain. Do they have what it takes to reach the Mara River? 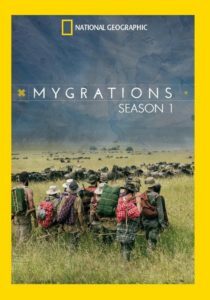 We think future seasons of Myrations: Season One will be just as riveting. From America’s coastline to exotic beaches around the world, the number of reported shark attacks has increased in the last half century. Many of the attacks are popping up in new and surprising locations. 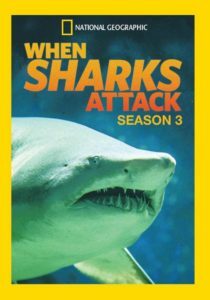 When Sharks Attack: Season Three investigates these terror-filled events, with underwater photography, compelling news archives, and gripping testimony exploring recent attacks to see what is affecting some of nature’s most feared fish. 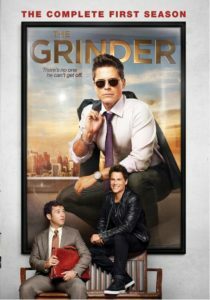 Starring Emmy nominees Rob Lowe and Fred Savage, The Grinder is a comedy about two brothers: Dean (Lowe) is a spotlight grabbing actor who plays TV’s most popular lawyer, and Stewart (Savage) is a real-life, small-town attorney who has yet to find his spotlight. When Dean’s series is cancelled, he moves back to his hometown where it doesn’t take long before he’s inserting himself into every aspect of Stewart’s life, both in the courtroom and at home. 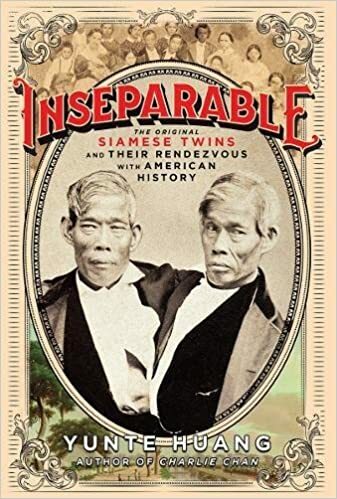 But when the brothers stop arguing with each other, and start arguing together in court, they make a formidable team. Sort of. If the plot sounds familiar–a Broadway producer Bill and his actress-wife Julie, unable to have children, find an imaginative orphaned girl and decide to adopt her–the 1946 gem Sentimental Journey was remade in 1958 as The Gift of Love starring Lauren Bacall and Robert Stack. The original stars Maureen O’Hara and John Payne. A nostalgic valentine from Fox’s vaults. This and the following are goodies from the Fox Cinema Archives. Maureen O’Hara return in the treasure Sitting Pretty, a 1948 comedy film which tells the story of a family who hires a man, Lynn Belvedere, with a mysterious past to babysit their children. It stars Robert Young, Maureen O’Hara and Clifton Webb. So popular was the character of Belvedere, Webb reprised his role in two more movies: Mr. Belvedere Goes to College (1949) and Mr. Belvedere Rings the Bell (1951). Some trivia: Photographer Loomis Dean visited the set to photograph the filming for Life magazine and photographed Webb together with then unknown actress Marilyn Monroe, who does not appear in the film. And get this! 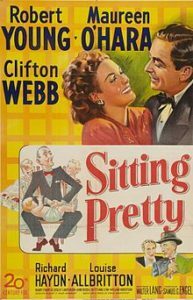 This is one of few films Webb made where he dances. 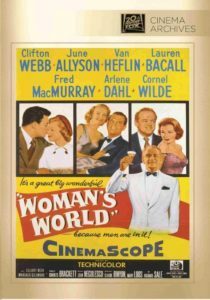 Webb and Bacall resurface in the 1954 comedy Woman’s World, a subtle comedy with feminist overtones. Webb plays Gifford, an executive with a large automobile manufacturer who is having trouble deciding who to hire as his chief sales manager. His three candidates are equally competent, so he brings their wives with them to New York headquarters, planning to hire the one whose wife is most suited to be an executive’s wife. The cast is super: There’s Cornel Wilde, June Allyson, Van Heflin, Arlene Dah, even underrated Margalo Gillmore! Funny stuff. Set at the turn of the century, smooth talking con man Eddie Johnson weasels his way into a job at friend and rival Joe Rocco’s Coney Island night spot. Eddie meets the club’s star attraction (and Joe’s love interest), Kate Farley, a brash singer with a penchant for flashy clothes. Eddie and Kate argue as he tries to soften her image. Eventually, Kate becomes the toast of Coney Island and the two fall in love. Joe then tries to sabotage their marriage plans. A great score, a gorgeous Betty Grable and a warning. Fifteen seconds into the film there’s a character in blackface; later there is an entire musical number in blackface. And, yikes!, the finale has a number in blackface. Fritz Lang directed a western? No, he also directed The Return of Frank James (1940). 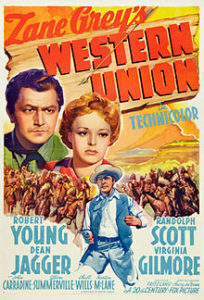 Western Union is a 1941 Western film starring Robert Young, Randolph Scott, and Dean Jagger. Filmed in Technicolor on location in Arizona and Utah, the flick’s about a reformed outlaw who tries to make good by joining the team wiring the Great Plains for telegraph service in 1861. Conflicts arise between the man and his former gang, as well as between the team stringing the wires and the Native Americans through whose land the new lines must run. In this regard, the film is not historically accurate; the installation of telegraph wires was met with protest from no one. The film is based on the novel Western Union by Zane Grey, although there are significant differences between the two plots.